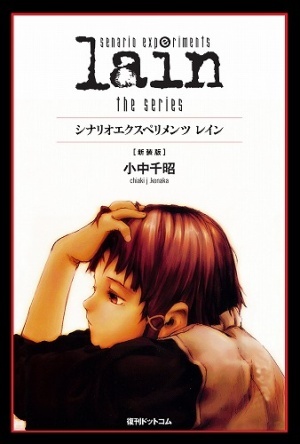 A book containing the original script for the Serial Experiments Lain anime by Chiaki Konaka with many informative footnotes, as well as images from storyboards. The original printing had an afterword by film critic and screenwriter Risaku Kiridooshi (切通理作) titled "commentary" (解説). The reissue from 2010 has instead a transcript of an interview titled "Lain 12 years later" (12年目のlain). This page was last edited on 5 November 2016, at 01:27.